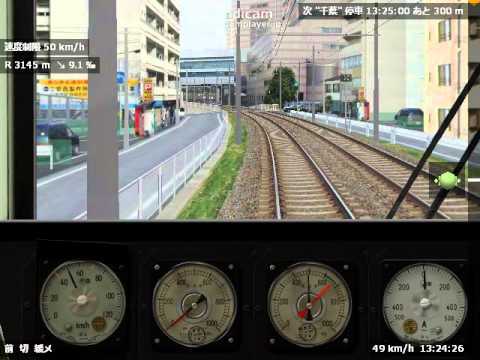 BVE trainsim (formerly Boso View Express) is a Japanese train simulator based on the point of view of the train operator. It is notable for focusing on providing an accurate driving experience as viewed from inside the cab, rather than creating a network of computer-controlled trains. It is customisable with additional routes and trains, but it is not open source. BVE trainsim was added by bird in Nov 2017 and the latest update was made in Apr 2019. The list of alternatives was updated Nov 2017 There is a history of all activites on BVE trainsim in our Activity Log. It's possible to update the information on BVE trainsim or report it as discontinued, duplicated or spam. Open Rails is an open source simulator that is designed to run Microsoft Train Simulator content. Microsoft Train Simulator was a commercial train simulator for Microsoft Windows. Alternatives to BVE trainsim for Windows, Mac, Linux, Software as a Service (SaaS), Web and more. Filter by license to discover only free or Open Source alternatives. This list contains a total of 5 apps similar to BVE trainsim. No reviews yet for BVE trainsim, want to be first? Maybe you want to be the first to submit a comment about BVE trainsim? Just click the button up to your right!